"Sampath Speaking" - the thoughts of an Insurer from Thiruvallikkeni: George's secret key to Universe ~ now application for trademark of self !!!! George's secret key to Universe ~ now application for trademark of self !!!! In the Rajnikanth starrer ‘Enthiran’ – the Robot is named ‘chitti’ – ‘Speed 1 terahertz, memory 1 zigabyte…..’ – Cochin Haniffa would ask him about his address; no address, only IP; parents – no; did they make you ? – yes; nackala [are you making fun of me ?] – no nickel [body parts are made of nickel!].. His current configuration : Lenovo ThinkPad X220 Tablet (2 copies); Intel® Core™ i7-2620M CPU @ 2.7GHz; Intel® 150Gb Solid-State Drive 520 Series - Windows 7. Speech Synthesizers (3 copies): Manufacturer - Speech Plus (Incorporated 1988, Mountain View, CA) Model - CallText 5010 – ‘Guess what ?’ …. A trademark is a recognizable sign, design or expression which identifies products or services of a particular source from those of others. A trademark may be located on a package, a label, a voucher or on the product itself. Intellectual property (IP) is a legal term that refers to creations of the mind. Examples of intellectual property include music, literature, and other artistic works; discoveries and inventions; and words, phrases, symbols, and designs. Under intellectual property laws, owners of intellectual property are granted certain exclusive rights. Biographer Kristine Larsen writes about how this man faced isolation and unhappiness during his first year or so at Oxford. Yet he joined the rowing team. Even before being diagnosed with a physically disabling illness, this person didn't have what one would call a large or athletic build. However, row teams recruited smaller men to be coxswains -- a position that does not row, but rather controls steering and stroke rate. Because rowing was so important and competitive at Oxford, his role on the team made him very popular. As a graduate student, he gradually started showing symptoms of tripping and general clumsiness. His family became concerned when he was home during his Christmas break from school and they insisted he see a doctor. He turned 21 a week later, and shortly after he entered the hospital for two weeks of tests to discover what was wrong with him. He was then diagnosed with Amyotrophic lateral sclerosis (ALS), also known as Lou Gehrig's disease and Charcot disease, is a specific disorder that involves the death of neurons. The problems worsened, and his speech became slightly slurred; the diagnosis of motor neurone disease came when he was 21, in 1963; at that time, doctors gave him a life expectancy of two years. In the late 1960s, his physical abilities declined: he began to use crutches and ceased lecturing regularly. As he slowly lost the ability to write, he developed compensatory visual methods, including seeing equations in terms of geometry. His increased manifold sufferings make a very sad reading. The man of the post is ‘British physicist Stephen Hawking’ – since 1997, his computer-based communication system is sponsored and provided by Intel® Corporation. A tablet computer mounted on the arm of wheelchair is powered by wheelchair batteries, although the tablets internal battery will keep the computer running if necessary. His interface to the computer is through a program called EZ Keys, written by Words Plus Inc. This provides a software keyboard on the screen. A cursor automatically scans across this keyboard by row or by column. He selects a character by moving his cheek to stop the cursor. His cheek movement is detected by an infrared switch that is mounted on spectacles. This switch is his only interface with the computer. Through EZ Keys he also controls the mouse in Windows. He checks his my email using the Eudora email client, surf the internet using Firefox and writes lectures using Notepad. His latest computer from Intel, based on an Intel® Core™ i7 Processor and Intel® Solid-State Drive 520 Series, also contains a webcam which with Skype keeps him in touch with web world. The news is “Professor Hawking, 73, has applied to the Intellectual Property Office to have his name formally registered”…. His primary aim is to prevent others from exploiting his name with inappropriate products. He is not the first though, celebrities like J.K. Rowling and David Beckham, have had their names turned into brands. “It’s a personal matter for Stephen Hawking; it is not a university issue, but he has taken measures to protect his name and the success it has brought,” said a spokesman for Cambridge University, where he is Director of Research at the Department of Applied Mathematics and Theoretical Physics. He has also applied to get his name trademarked for charitable purposes, giving him the option of setting up a foundation, such as one to promote physics or for research into motor neurone disease, which has left him paralysed, The Sunday Times reported. His trademark would cover computer games, powered wheelchairs, greetings cards and health care. Chris McLeod, president of the Institute of Trademark Attorneys, said the move could be worth millions of pounds. “It depends on how successfully his advisers can license and market products and services. If he were to die, then the trademarks could be transferred to his foundation or offspring — they could be a never-ending monopoly,” he said. 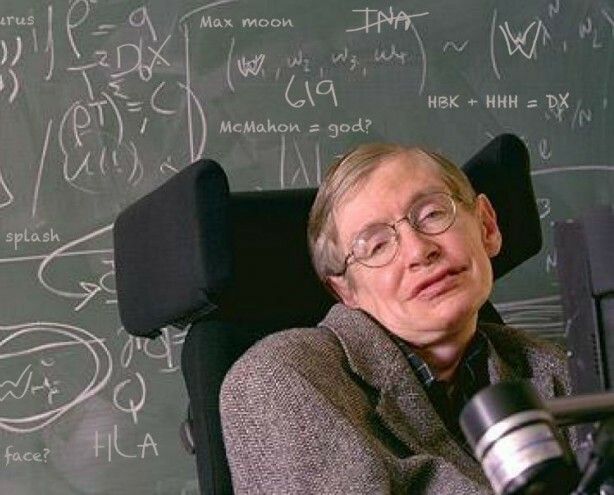 There is a wide range of Professor Hawking memorabilia available on the internet, including a thong with his quote 'while there may be primitive life in our region of the galaxy, there don't seem to be any advanced intelligent beings', inked on the front. There is also a pair of boxer shorts, available for £8, with a cartoon sketch of the scientist on and T shirts featuring a zombie Professor Hawking above the words 'Hawking Dead'. Another famous British scientist Brian Cox had also filed for trademarking his name as fully fledged brand, Brian Edward Cox, 47, is an English physicist, and professor of particle physics in the School of Physics and Astronomy at the University of Manchester in the UK. He is best known to the public as the presenter of science programmes. Before his academic career, Cox was a keyboard player for the bands D:Ream and Dare. 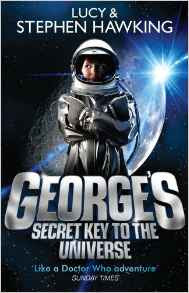 ‘George's Secret Key to the Universe’ is a children’s book written by Lucy and Stephen Hawking in 2007. The main characters in the book are George, Eric, Annie, Dr. Reeper, and Cosmos, the world's most powerful computer.